Today we are looking at The Prepper’s Water Survival Guide by Daisy Luther. For those of you who are unfamiliar with her work, Daisy writes The Organic Prepper, and has written other books, such as The Organic Canner, which has also be featured. This book is very timely written, as we are currently witnessing an unparallelled drought in California, as well as other states in the Pacific Northwest. At my last trip to California, I found my own relatives were all dealing with the drought and trying to find ways to replace their lawns, conserve water, as we looked in dismay at water sources drying up almost right before our eyes. Even the great waterfalls in Yosemite were low on water. The Prepper’s Water Survival Guide offers many practical suggestions and tips that you can immediately apply to your own situation. Water is vital for survival, and I always tell my readers to stock up on water, even if they choose to do nothing else to prepare. Below is my interview with Daisy Luther. 1. What water storage tips would you recommend to apartment dwellers living in the city? When you’re in an apartment your storage space can be very limited. I recommend that you use those hidden spaces that normally go to waste for storing water: the back of the closet behind the clothing; pull the couch out from the wall and put bottles behind it, with a shelf on top to make it look like a console; under the bed; put a table cloth on the coffee table and store some there. If you’re in an apartment or other small space, focus on using smaller containers for your water, instead of the large 5 gallon jugs. A small container can be tucked into nooks and crannies more easily. 2. How are you dealing with the water shortage in California at the present time? Fortunately, I live in a home with a very deep well that has a substantial amount of water. However, I still store several hundred gallons of water because I have farm animals and a garden. We are careful not to be wasteful. We collect gray water whenever possible and use it outside. 3. What are your favorite water conservation tips? People flush an astounding amount of water down the toilet. “When it’s yellow, let it mellow” is pretty much the rule of thumb here in California. Capture the water that normally runs down the sink when you are getting the water hot for doing dishes. Use that for giving water to pets or plants. Be very cognizant of the water that goes down the drain – we are very wasteful here in North America. Consider a “no-running-water” drill so that you can see exactly how much water you normally waste – this awareness will help you cut your usage. 4. Please share some great summer projects for preppers. In the summer, we like to practice our outdoor skills with activities like hiking or fishing. We also enjoy going foraging and preserving food. 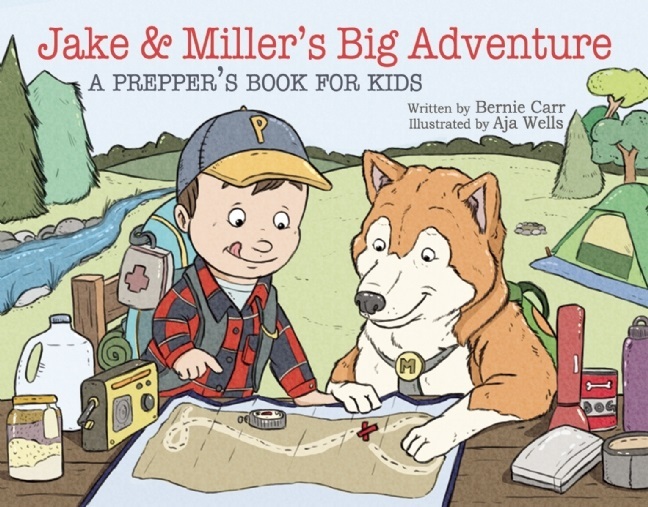 It’s a good way to pair “summer vacation” with “prepper education” for your children. 5. 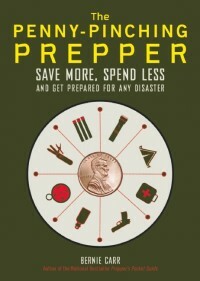 How would you go about getting your non-prepper friends and relatives on board with becoming more prepared? This is tough because they often don’t want to hear it. It’s easier mentally for them to write you off as crazy than it is to accept the fact that sometimes, life goes awry. I generally try to recommend small changes instead of huge preps, like getting ready for a power outage. I always point out the events on the news that would have gone more smoothly had the people involved been prepared. Every once in a while, it works, so keep at it, gently, with those you love. Don’t be too pushy, or you’ll scare them off. Slow and steady wins this race. Now for the giveaway… One lucky winner will be chosen via Rafflecopter to win a copy of The Prepper’s Water Survival Guide. We’ve made it as easy as possible to enter, with lots of opportunities to win! THIS GIVEAWAY IS NOW CLOSED. I have some clear clean plastic soda bottles on the patio, the sun heats them up an collect condensation. We capture our pee in buckets and daily pour this over the compost pile. We save water from not flushing the toilet, and get free nitrogen for our garden. Also, the moisture from our pee helps with the composting (piles need enough moisture to be like a wrung-out sponge in order for the microbes to do their work). I love the idea of smaller containers. We have an under the bed plastic bin full of bottled water now. We have a good well so water really isn’t a problem. Last year I had a hand pump added to the well so if there’s a power outage we can still pump water. How many people do you know who turn on the faucet and let the water run to cool it down? I always keep two five gallon containers filled with water and I refill them each night. The grandkids actually use those to get their drinks of water rather than the faucet, so they waste much less water than most people. We use bathwater to water our plant, make sure the washing machine and dishwasher are full before running them. Everyone has a timed shower, and half used water bottles go in the coffee maker. I actually really need to store more water, we are cleaning out a closet that will stay cool enough to store water. I’ve found several nooks for water; my cabinets have a lot of wasted space, so there’s 2 liters stored there. My closet also has a layer of bottles. Even so, since I’m in an apartment, I feel like I’d still run short if anything lasted more than a couple of days. I wish I had a basement to store barrels of water! Supply is our biggest concern. You can bathe in a river or lake, but consuming that water is risky without treating it first. My biggest concern is how to keep enough water preps on hand….in an apartment with lousy temperature control. I’m concerned about the BPA in plastics with bottled water and read that warm temperatures cause even more BPA to leach into the water. Main concern is not having enough. My biggest concern is how to keep water handy when you really need it. We have a well and have to watch how much water we use during the summer for we don’t want it to get dry. We have rain barrels and gallon milk jugs full of water. We live on 25 acres and have a spring fed water system. My biggest concern is that the spring would become contaminated in a disaster, leaving us with no water source.